n the past, I've done a lot of ACEOs. It was always my intention to use them as thumbnails for larger projects. 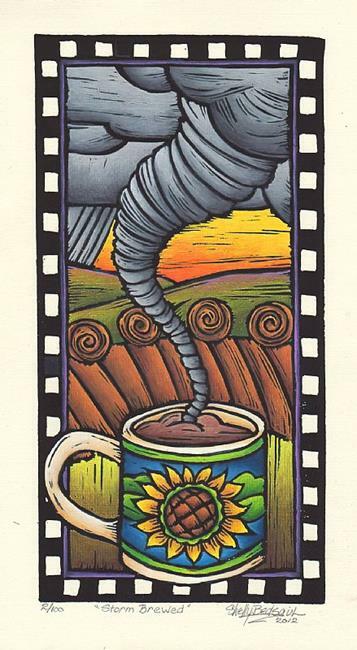 After moving to Kansas, I realized that we love our coffee just as much as Seattle and made coffee imagery for we plains people. Wouldn't it be great if we could train our legendary storms to maybe, give a little extra froth.